Figuring out how much you are spending on a cup of coffee in a foreign country can be one of the most frustrating aspects of travelling. Having to constantly calculate the conversions in your head and figure out whether you are getting a bargain or getting extorted can be very challenging. To make things a bit easier for travellers, here are a number of things you need to know about Singapore currency. 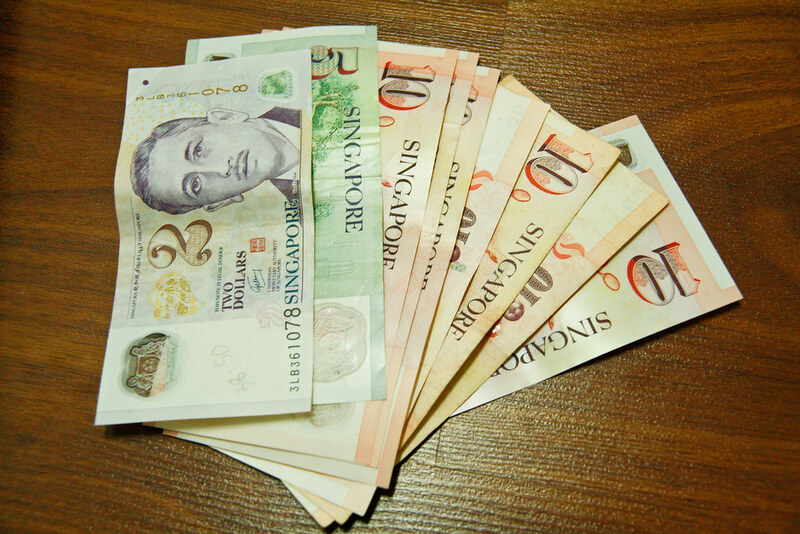 The official currency is the Singapore Dollar which is divided into 100 cents and abbreviated as S$. Their currency is in the form of coins, paper and polymer notes. Coins are in the denominations of 1, 5, 10, 20 and 50 cents and 1 dollar. Notes on the other hand come in denominations of 2, 5, 10, 50, 100, and 1000 dollars. Lets also not forget the world’s most valuable banknote, the S$10,000. Here are the current conversions at the time of writing: 1 US dollar will give you S$1.40, for every British pound you’ll receive S$1.95, an Australian Dollar fetches S$1.00, while one Euro exchanges for S$1.55. Singapore caters to tourists with all kinds of budgets. Whether you’re backpacking across the country on a shoestring budget or looking to splurge on designer everything, there is an establishment for you. A three-course meal in a decent restaurant will set you back about $50, while a combo meal at McDonald’s is about $7. If you ever get parched, you can grab a bottle of water for $1.10, enjoy a delicious cappuccino for $5.17, or kick back with a local cold beer for about $8.52. It is wise to note that taxis charge an average of S$0.60 for every kilometre, plus surcharges. Visitors should note that when visiting a restaurant, there is a surcharge of 10% for GST plus a further 7% service charge added to all bills. As a service charge is included in your bill, tipping is not expected nor required. We will be travelling to Singapore in February 2019 and would like to know the dates for events of the Chinese New Year and anything we should do in advance. Thank you. Chinese New Year will occur on 5-6 February 2019. Refer to our Chinese New Year page for updated information as it is released. I would recommend booking accommodation early, as it is a very busy time in Singapore, with many of the most popular hotels getting booked out and prices being inflated. You can browse accommodation options here.